This phrase seems to be one of the buzz words for contemporary United Methodism. This post is the first of two posts on this topic. (It could be seen as the second of three posts, as yesterday’s post pointed out that Wesley himself did not use the phrase “holy conferencing.”) This post discusses the contemporary use of “holy conferencing.” The second post will discuss what Wesley meant by the phrase “Christian conference,” which is the phrase from Wesley that is usually connected to contemporary uses of holy conferencing. Following General Conference, in the September/October 2012 issue of Interpreter the feature article was “Holy Conferencing: Bringing Grace to Tough Conversations.” I have to admit I was predisposed to be critical of the article by the subtitle, which to me suggested that we are the ones who bring grace to tough conversations because of our mastery of the skill of holy conferencing. I’m not exactly sure what the subtitle intended to convey, but it would be too easy of a target for outsiders who already suspect that Methodists are peddling works righteousness. This is a helpful quote because it makes both moves that are typical in discussions of holy conferencing. 1) Its roots are in John Wesley. 2) It is important because Wesley included it as an “instituted” means of grace. So, similar to many of the other buzzwords in contemporary United Methodism, the grounding for the practice is – at least loosely – the authority of John Wesley. But the above quote doesn’t tell us much about what holy conferencing is. 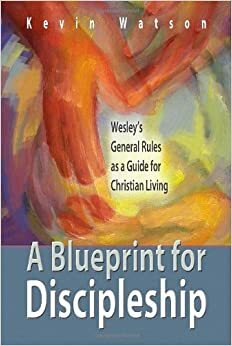 From the above we know it is something that Wesley included with other basic Christian practices as a way of experiencing God’s grace (which, again, is in tension with the subtitle of the article). And that we should practice it in and out of church because the roots are biblical. This sounds important! So, again, what is it? With the exception of the quote from Lambrecht, it seems like holy conferencing means being nice to each other when we disagree. This is a helpful list. And these principles are important to keep in mind when having difficult conversations. I have seen too many examples in person and (more often) online where these principles have not been practiced by contemporary Methodists. So, I think this is a well thought out and helpful guide to having difficult conversations. However, at the end of the day, it still looks like the focus is on being nice. There are at least two problems with this approach. First, the areas of disagreement often go so deep that someone finds the clear statement of a particular position to itself be disagreeable. In other words, the use of “holy conferencing” presumes an ability to not take the beliefs and convictions of another as a personal attack. I am not sure we are currently in a place where people are always able to make a distinction between honest disagreement and intentionally being disagreeable, or intentionally hurtful. The second problem with this approach is that it deemphasizes the importance of the beliefs themselves. At best, it does not provide a way to resolve any disagreement. The only solution offered is polite conversation. At worst, it implies that there are no right answers. The use of holy conferencing seems naïve because the solution it appears to offer is that if enough people could just sit down long enough, be nice enough, and hear each other, agreement would come from clear and kind articulation of each perspective. I think this underestimates the depth of genuine disagreement that often exists. There also may be a subtle form of arrogance that believes that I can convince you that I am right if we can just talk about this long enough because you have never actually thought about this in a careful rational way (or, that my beliefs are in themselves rational and logical in some way that yours are not). I do not think that is what people who are advocating for holy conferencing intend to be the outcome of this practice. I think they are rightly broken-hearted by the extent of disunity, even anger and bitterness, in contemporary Methodism. And so, leaders are rightly trying to come up with anything that will move Methodism in a better direction. From that perspective, I think polite conversation is a step in the right direction. My concern is that what was likely initially intended as a step is coming to be seen as a solution. The process of coming to theological convictions seems to be valued above the convictions themselves. William J. Abraham has argued that the quadrilateral was conceived as a way to create a big tent vision for Methodism when it could not agree on basic Christian doctrine. (See especially his Waking from Doctrinal Amnesia). So, instead of focusing on doctrine, Outler created a way of thinking about doctrine. The idea was that we may not agree on the outcomes, but we can agree on the method we use to come to our different conclusions. Is “holy conferencing” another Act in this same play? Some of the quotes from the Interpreter article, in fact, emphasized that “standing together” was more important than “ending up in the same place at the end of the conversation.” Think about the imagery in that quote. The image itself shows how insufficient a vision this is. The goal is to stand together, even though we are not in the same place?! 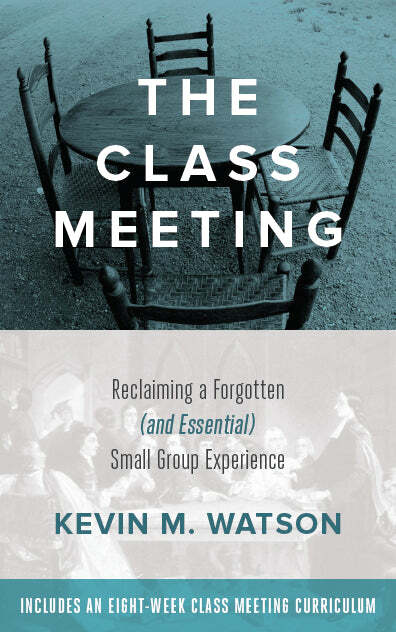 Recall that the common rationale given for the importance of holy conferencing is that it was endorsed by John Wesley in the “Large Minutes” as one of five instituted means of grace (meaning that they were explicitly given to us by Christ). The other four instituted means of grace are: prayer, searching the Scriptures, the Lord’s Supper, and fasting. These are rich, robust practices that have been a part of the Christian life from the early church. Could Wesley have really meant by “Christian conference” that Christ instituted the practice of “standing together, even though we are not in the same place” as just as reliable of a way of encountering God’s presence as prayer, searching the Scriptures, the Lord’s Supper, and fasting? Surely not! The next post will answer the question: What did Wesley mean by the phrase “Christian conference”? It will also consider the role of “Christian conference” for contemporary Christianity, suggesting that it is much more than being nice when we disagree. In the meantime, what do you think about the way that “holy conferencing” is used in contemporary Methodism? Just want to say that I’m still super uncomfortable with this notion being questioned. Not because you’re wrong to do so, but because I just so easily swallowed all that stuff without questioning its roots. I do still find myself clinging to the notion that, if we can get people to detach themselves from their arguments, we can arrive together at a place of truth. It is probably naive. I also sympathize with those who think the best thing we can do is to cling together even when we disagree. So long as we can still speak with one voice, I think that’s a worthy goal. The fact that we have breakaway and disloyal persons and caucuses in our denomination is a sign that we lack a robust eucharistic ecclesiology. I think much of the challenge of contemporary Christians is standing with Christ and his Church when they so often squelch the desires of the individual. Self denial is a holy thing. You were probably driving in a different direction and then I just veered off. Ignore me. I’ve recently moved from a minority position (a progressive in [our] conservative OK conference) to a majority position (a progressive in Oregon-Idaho). What struck me is that the minority position usually criticizes the “way” how discourse is formed by the majority . “We should talk nice” and “don’t use that type of speech” and other comments come from those who feel powerless in the content of the discourse–I know I made those same comments in OK and hear them from the other side now that I’m in OR. “Holy Conferencing” feels like a similar situation: our leaders who feel they are powerless to fix the discussion are instead changing how the discussion is had. While a charitable understanding would say that the intent is to open ourselves to the Holy Spirit’s work between us, we both realistically know that what we really mean is “have the Holy Spirit convict the other guy.” Sigh. However, I do believe there is a higher purpose than mere naive “how to disagree.” With the polarization of our country, the acrimony of opposing sides growing further apart, what better witness to the world could Methodism give than how to hold a unity in diversity and how to love one another even in our disagreement? Perhaps the lasting contribution of Methodism is not buildings or doctrines but a facet of the Kingdom that is how to live together in common mission with diverse approaches to that mission. Is that not an enviable and attainable contribution our church can make to an increasingly polarized society? Jeffrey, Thank you for your comments. I am grateful for such a clear articulation of the value of holy conferencing in contemporary United Methodism. I am a bit unclear on what exactly you mean by “if we can get people to detach themselves from their arguments, we can arrive together at a place of truth.” Don’t most people think their arguments represent the truth? I think I must be misunderstanding you, or not following what you are getting at. I love the idea of clinging together even when we disagree, but I guess I am not as optimistic that we are actually currently clinging together. Or that we are speaking with one voice. Nevertheless, your vision is a beautiful one that speaks to me. May it be so. Jeremy, I appreciate your statement of what a charitable understanding of the intent of holy conferencing would be: to open ourselves to the Holy Spirit’s work between us. But, I also agree with you that the way this is framed is often not in harmony with what people are actually hoping will happen. I agree that there is currently quite a bit of polarization and acrimony in the United States. And I agree even more that United Methodists (and all Christians!) are called to love those with whom they disagree. If Jesus calls us to love our enemies, then surely we are called to what should be an easier form of love. Recently, I have been reminded in a number of places just how radical and awesome God’s love is. Thank you for this reminder. Here is my push back: The affirmation of the crucial role of love for the Christian life is itself a theological conviction that is based on other theological convictions. I’m not sure how far you can relativize those convictions and have actual unity within diversity and not only diversity, or love in the midst of disagreement and not only disagreement. I certainly hope the lasting contribution of Methodism is not its buildings! But I’m not sure there is a “there” there without agreed upon doctrines that inform our collective life together. Please hear me: My hope is not to sow seeds of animosity or hostility. When the extent of the division within contemporary United Methodism actually sinks in, I am devastated by it! I believe that a common mission requires other things to be held in common as well. I think we too often have a form of pseudo-tolerance of one another’s presence. If I’m really honest, I’m not sure I believe United Methodism is actually lifting up a witness to the rest of the world than is significantly different than the rest of American culture (I’m thinking of many exchanges I’ve seen online). I yearn for United Methodists to come together in a unity that is so deep and in a mission that is pursued with such collective passion that the rest of the world cannot explain it as anything other than an act of the Holy Spirit. You have beautifully stated the value of unity in diversity here. From your experience with blogging and social media, what have you learned about how to model “loving one another even in our disagreement” online? Personally, I question how “diverse opinions” can be accepted on questions that are considered fundamental, core elements of the faith by one group or another within the UMC. If I regard the Bible as the authoritative Word of God, and someone else regards it simply as “containing” the/a word(s) of God…we don’t have common ground to start from. We can “conference” all we want, but we each start with incompatible core assumptions and beliefs. It’s a bit insane that the UMC allows and supports contradictory core beliefs (primarily about the authority of Scripture) and yet expects that people with diametrically opposed core beliefs will come to similar conclusions (for example, about sin and repentance, or the legitimacy of homosexual behavior). We do live in an unusually ideological age. Because of the information age, we define ourselves increasingly as disembodied position platforms. I’m convinced that the pistis that is supposed to unite us is not akin to “beliefs” as my positions on a set of issues viewed abstractly, but rather “trust” that the Holy Spirit is truly present offering to guide us and speak to us. In the context of a conversation with a Christian who radically disagrees with me, my challenge is to trust that God is in a process with that person and that I am not in a position to evaluate whether I am “further along” than they are or vice-versa. They have had epiphanies in their journey which God gave them according to the work for which He is shaping them; for me to make cynically dismissive presumptions about where they’re coming from (which unfortunately I often do) is at least somewhat a form of blasphemy of the Holy Spirit. This doesn’t mean that I’m not allowed to be passionate about the truth as I have come to understand it and seek to persuade others of what God has shown me. But the more I can see the other person as a genuine disciple, the more I can think about how to engage that person not dismissively as a straw man for the sake of my own amen chorus, but as a true brother or sister whose dignity I care about. And sometimes out of respect for their journey of discipleship, I need to bite my tongue and not try to arm-wrestle them out of something I disagree with. If there’s no point in having conversation with other Christians where the goal is not to come to “agreement” in the sense of conformity, then why celebrate communion? Communion fosters a unity that transcends rational “agreement.” It’s how we become the family where the crazy right-wing uncle and his smelly, dread-locked anarchist niece can share a table (or if you prefer, Judas the zealot and Matthew the publican). In an exclusively rationalist conception of Christian unity, there is no table, only word. So Lord’s Supper twice a year and 45 minute sermons every week, which by the way is the formula that “works” the best for church growth. Are you familiar with Jamie Smith’s Desiring the Kingdom and Imagining the Kingdom series? It’s about how we’re primarily liturgical creatures rather than rational ones. I wonder how this theory would inform the concept of holy conferencing. I do think that holy conferencing in the context of a pressurized meeting schedule is pretty farcical. It needs to happen when listening to God is the only agenda without framing it as yea or nay questions on particular decisions. As a relatively new member of the UMC, I find it disturbing that a Christian denomination has such difficulty being Christian. First of all, sin is sin – period. Humans who have not been born-again by the Blood of Christ and are not being transformed by the power of the Holy Spirit have no stomach for nor comprehension of the greatest commandment: “Love the Lord your God with all your body, soul, mind, and strength.” Those who are not true Christians either intentionally or subconsciously make up lesser gods that let them get away with whatever self (their true god) actually desires. There is no scriptural basis for adopting the perverse ways of the world as the means for resolving Christian conflict. I’m not sure what “conferencing” was intended to be by Wesley so I look forward to reading more; however, what seems to be described is nothing more than Hegelian Dialectics dressed up in Sunday-go-to-meeting clothes. It sounds to me like there are wolves amongst the sheep who are bringing their friends in with them. Time to throw the money-changers out of the House of God! As a new Methodist and someone who considers themselves a communication professional, I’m unclear why we need “Holy Conferencing” to frame our discussions/arguments. The idea is nice but unnecessarily complicates things for me. Communication remains culturally bound. The verbal and non-verbal exchanges only have meaning within a particular culture and context. We have a highly developed field of study to help us negotiate effective communication in almost any context. Skills like listening, reducing defensiveness in others, and conflict resolution have been taught and practiced in professional fields for decades now. There are several references in both the old and new testament regarding how and when we should speak and even a couple references on how to handle conflict, but at no point has anyone ever considered any book of the Bible or whole canon as a “communication manual” and no one argues that those scriptures are “exhaustive” in scope. We’ve got some great stuff to work with as it is. Why use scripture to create a whole new context? Again, the idea has merit, but is it really necessary? Hi Michael, Thank you for your comment. I’m not sure that those who have come up with more recent understanding of holy conferencing are intending to use scripture to create a whole new context. Rather, I think they intend to ground the basic tenets of nice(r) conversation in their heritage. I suspect this is done largely for rhetorical appeal – we should converse in this way because it is a part of who we are as Methodists. I think I would tend to agree with you that I think this approach has merit, but is probably not necessary. My deeper concern, as the next post in this series unpacks [https://vitalpiety.com/2013/07/18/holy-conferencing-what-did-wesley-mean-part-2/], is that this entire way of understanding holy conferencing (i.e., polite disagreement) is an inaccurate use of what Wesley meant by the term Christian conference, which more recent usages all appeal to. Christian conference is not primarily a structure for having difficult conversations. Christian conference is the way in which Methodists came together in small groups to discuss the present state of their relationships with God and watched over one another in love, encouraging each other to grow in holiness. Another example of “church speak”. The church wants to make a discussion forum into some holy event so that whatever the church leaders think was said has now become the word of God. Total BS.